2016 marks my 40th year as a Napa Valley vintner. 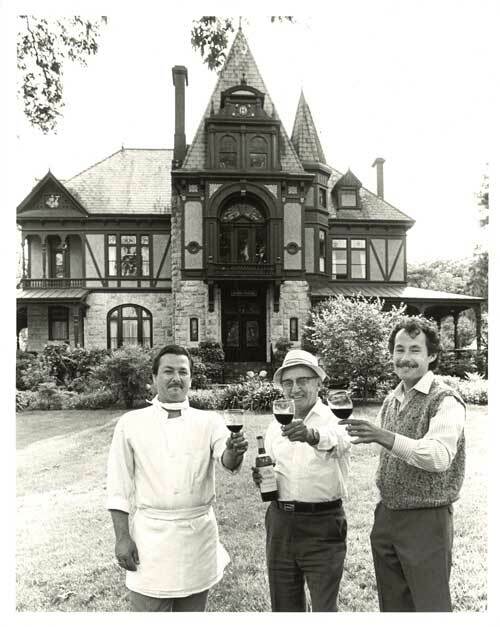 The first 27 years were with Beringer Vineyards helping build a wine company known to collectors for its reserve and single-vineyard Cabernet Sauvignons and Chardonnays. I retired in 2001, and with my wife, Susan, started our dream: TOR Kenward Family Wines. Our plan was simple. Our wines would come from only the best blocks in great vineyard sites I knew and revered. All our wines are hand-made in every sense and in very small quantities. My first three decades in the Napa Valley laid the foundation. I had extraordinary mentors all willing to openly share their knowledge and passion. Robert Mondavi, André Tchelistcheff, Warren Winiarski, Ed Sbragia, Maynard Amerine and many others encouraged me to learn and experiment. We tasted together and exchanged information. Beringer also sent me to travel and walk Europe’s most renowned vineyards, talk and taste with other winemakers, taste more, kick the dirt where world class wines are grown, and listen. Our winemaking is driven by what I heard and learned making small experimental lots of wine at Beringer. Great vineyards deserve respect, and experience has taught me that in winemaking, less is more. About my name: I am often asked, What does TOR mean? According to The American Heritage Dictionary, a “tor” is “a lofty pinnacle, a peak of bare rocky mountain.” The honored California poet, Robinson Jeffers, names his beautiful stone home in Carmel the TOR HOUSE. My dad was a writer and my mother a painter and respected (stage) thespian, which may explain this oddness to a certain degree.